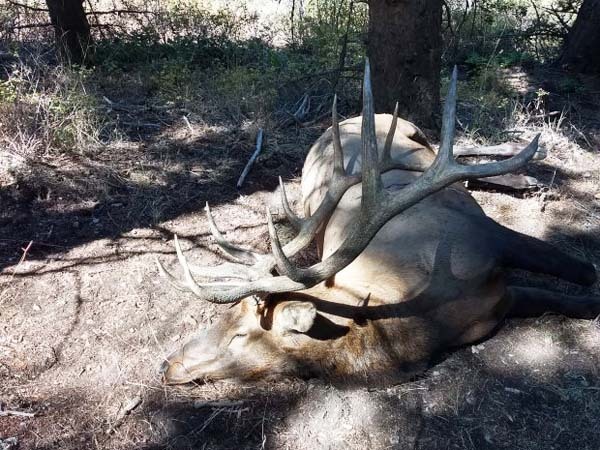 "Sean's 300-inch Idaho Archery Bull"
"Successful Archery Bull Hunt - I was lucky enough to draw a late muzzleloader tag in my home state of Idaho on the 2nd chance draw. 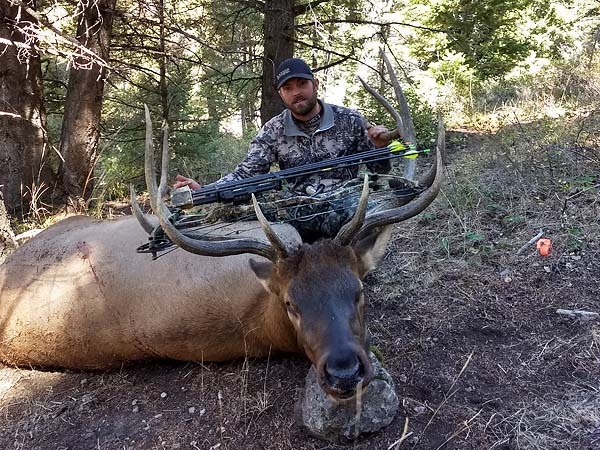 My love for archery hunting elk is uncontrollable. 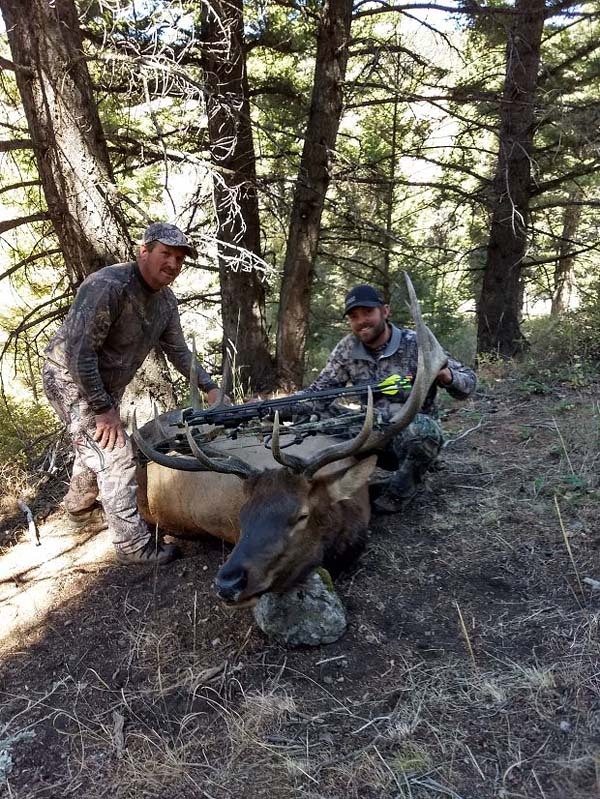 I decided last minute I'd go buy a non-resident elk tag and try my luck at elk archery season knowing the odds weren't in my favor. My dad, his buddy, and I hunt public land and for the most part been lucky over the years. 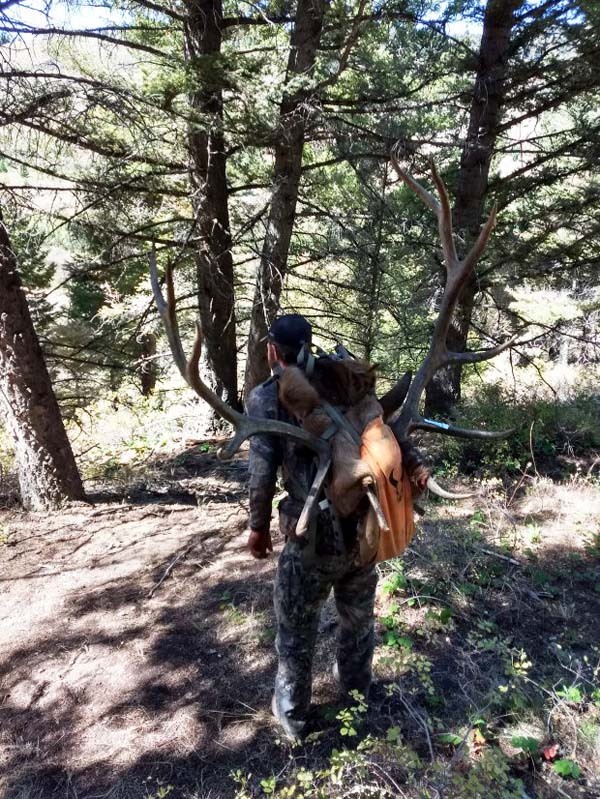 I ended up finding this bull late one evening knowing that it definitely won't be in the same canyon the next morning and if I was going to get a chance I had to act fast. So I grabbed my bow and basically ran at it. With very little sunlight left I was able to get with in 55 yards. I took the shot with it broadside looking at me. 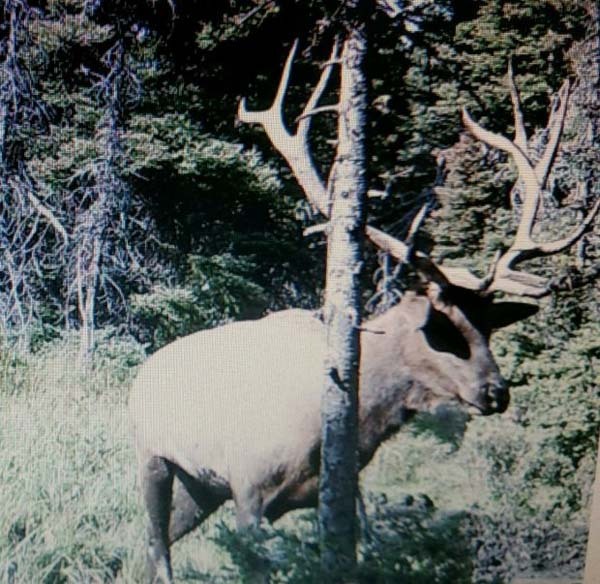 When the arrow hit the bull, he took off faster than I had ever seen an elk run, then out of site into thick timber. I quickly marked the area the shot went down with my GPS and left for the night. The next morning we all went in and to my surprise it only ran about 100 yards after entering the timber....double lung shot! We then celebrated, took some pictures and started processing the elk. What a great start to a unreal hunting season and great memories with family and friends! 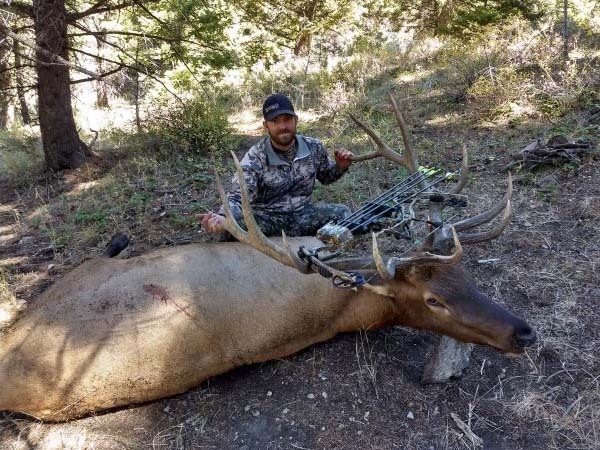 Location: somewhere in Idaho score: guessing around 305 but who's counting!"